The first time I looked into CrossFit was in late 2012; I immediately knew it was something I had to be apart of. Before I even did my first WOD, before I set foot in a box, I was already hooked and of course I was talking non-stop about it to my friends and family. Lucky for me, I got my chance to join a box in early 2013. 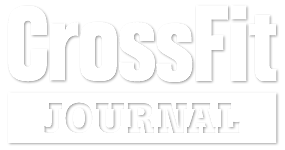 I quickly realized the power of the CrossFit community and fell in love. Within a year I received my L1 and started coaching. Over the next few years I learned so much about myself. I found that I loved helping people better themselves and reach their goals. Finally after lots of encouragement from family and friends, I decided it was time to start planning to open my own box. I feel that owning a box is an honor and it's an honor to have the trust of everyone that walks into our facility. CrossFit has changed my life and I want to share that experience with others.